You’ve fallen for Facebook. You’re in love with Instagram. You’re in a tizzy over Twitter. And you’re savvy with Snapchat. But did you know your use of social media could miss the mark? Not to worry. In a seminar titled, “How Social Media Can Go Awry,” the Hon. Roger Page, justice of the Tennessee Supreme Court, the Hon. Brandon Gibson, judge with the Tennessee Court of Appeals, and Justin Furrow of Chambliss, Bahner & Stophel will discuss how to use social media in a way that allows you to maintain a professional persona and prevent social media mishaps. The seminar will take place Tuesday, Nov. 14, 11:30 a.m.-1:30 p.m., at the Walden Club. Registration and lunch will begin at 11 a.m. The cost will be $75 for members of the Chattanooga Bar Association. The cost for non-members will be $85. Lunch will be included. Attendees will earn two dual CLE credit hours approved for Tennessee. Chattanooga owes a debt to the work of businessman and philanthropist Scott Probasco Jr., whose influence in the city and its surrounding area was characterized by his deep care for its people. During the seminar “Scotty Probasco - A Case Study in Generosity & Leadership,” attendees will learn how Probasco utilized estate planning tools such as charitable remainder trusts and life insurance to meet income needs, minimize taxes and leave a lasting legacy. Presenters will include G. Bert Clark Jr. of Northwestern Mutual in Atlanta, Buck Roebuck, financial representative of Northwestern Mutual in Chattanooga, and Maeghan Jones, president and CEO of the Chattanooga Community Foundation. The seminar will take place Wednesday, Nov. 15, 8-9:30 a.m., on the 12th floor of the Miller & Martin building. Registration and breakfast will begin at 7:30. There will be no cost to attend. Attendees will earn one-and-a-half general CLE credit hours approved for Tennessee. The CBA’s annual legislative update will take place Thursday, Nov. 16 from 1:30-4:45 p.m. in the Hamilton County Commission Room, located on the fourth floor of the Hamilton County Courthouse. Registration begins at 1 p.m.
Presenters will include Sen. Bo Watson, Sen. Todd Gardenhire, Rep. Mike Carter, Rep. Patsy Hazlewood and attorney Nicole Osborne of Chambliss, Bahner & Stophel. The cost will be $75 for CBA members and $100 for nonmembers. 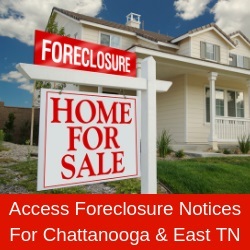 Attendees will earn three general CLE credit hours approved for Tennessee.